I have been using Chrome ever since Google launched it. First and foremost reason is, obviously, since it is a Google’s product and then because of its minimalistic appearance. It was very smooth and I loved the way it looked overall. It easily replaced all the other default browsers. Then after few years they launched the Android version of Google Chrome. So they experimented a lot and improved a lot at the same time. Majority of us use Chrome for browsing the web, which is their primary target but we also have some interesting ways you can use Google Chrome. Chrome is not just for browsing, it is an awesome productive tool if you can understand it, especially with the help of their apps, extensions and tweaks. These are some of the cool ways we can use Google Chrome for. You don’t need to tweak anything seriously, just simple steps and you can make the most out of Chrome. Internet connection having issues? Router restarting? If you are searching for an easy way to kill the time, then don’t worry, Google Chrome has this awesome in-built game for you. Say hi to their “Endless T-Rex Runner” game. 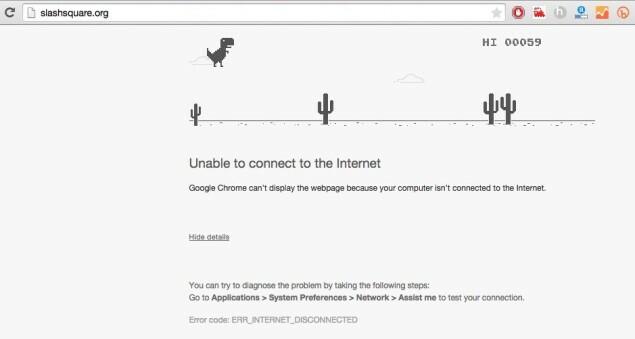 Just open the Chrome browser, when you see that “Unable to connect to the Internet” error along with that cute T-Rex, just press the “Space Bar” in your keyboard and the game will start. The T-Rex will automatically run without any key pressing and you can use the “Space Bar” key to jump. Much more like “Temple Run” or “Subway Surfers”. I love the way this T-Rex jumps or bounces! I think people rarely do this, I can’t find a reason why they should honestly. But essentially this is a great video player with decent options & interface. Suppose if you are working in your office and you want to watch some cool TED videos (or maybe a movie) in your system, then you can easily open them on your Chrome browser and watch it. You won’t be suspicious when your boss is around. 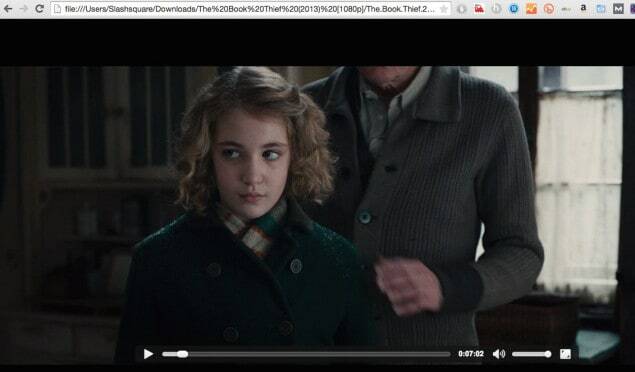 The movie playing in this Chrome browser is “The Book Thief (2013)”. Again this is a sweet neat way to view your PDF files. Instead of opening them via Adobe Reader or any 3rd party app, I always prefer to read them via my Chrome browser. It seems good enough for me. I hope they soon support EPUB versions, it’ll be helpful for me and others to read eBooks. Since Chrome is a product of Google, you get a search engine along with it. You don’t need to press the enter key to know the results, you just type them on your address bar and it displays the result below. I love this handy feature. You can also use Google Chrome for Metric Conversions in a similar way. Not just the web but also your system! 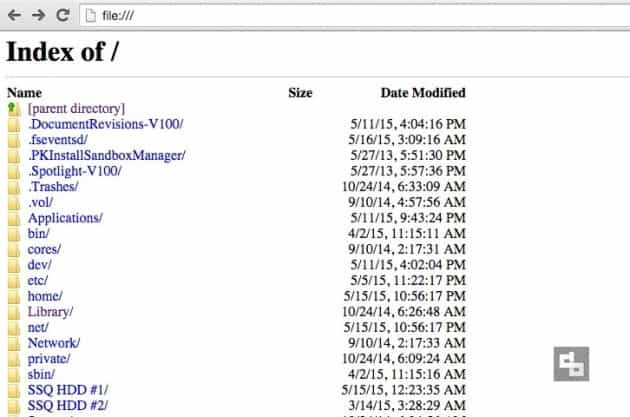 Yes you can use Chrome for browsing your system files. I love this interface, though not very classy, they look simple and easy to use, not to mention they are fast as well. Just type these and it’ll open. Heard this tip works with all the HTML 5-compatible browsers as well, haven’t tried though. This is very helpful for me, I always have a tab opened with this functionality. I take notes or say ideas whenever I get them. It is easy for me to access too. 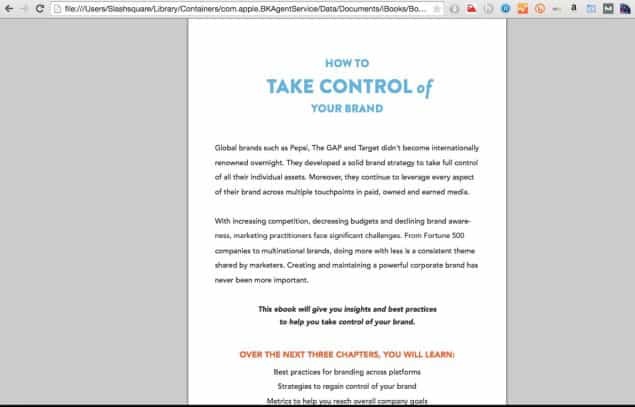 You can save your notes as HTML files or you can copy-paste them somewhere. You can also make this editor more advanced by altering them with additional code. 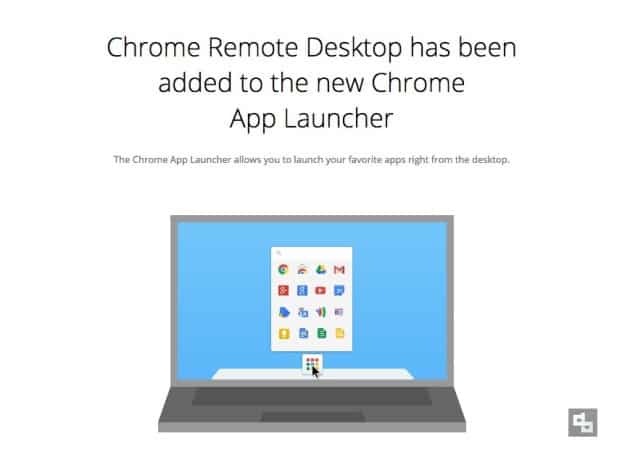 With the help of Google’s Chrome Remote Desktop app you can connect to a different computer in a different location. This app must also be installed in the other computer you wish to access. The after some security steps (like sharing codes) you’ll be able to access it without any issues. This is particularly useful when you are helping your faraway clients with fixing something. Last but not least, I professionally love this feature a lot. Helps a lot to know more about my website. With this feature you can easily view your website as if you accessing it with a mobile device (say phone or tablet). You can pick devices like Apple iPad, Nexus, Samsung, etc. 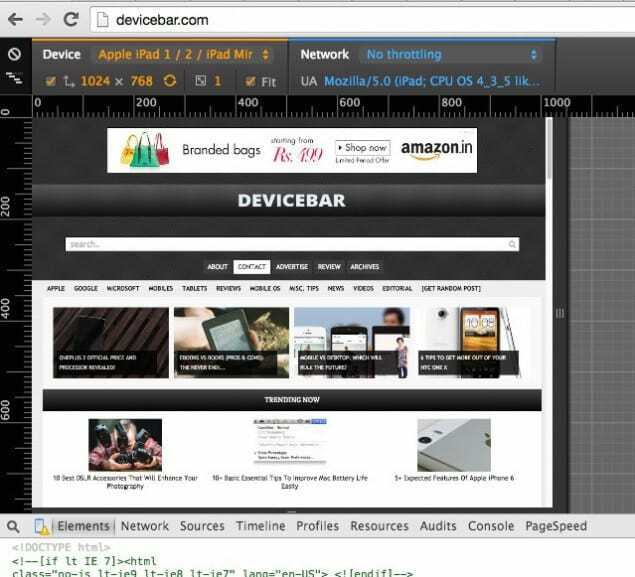 Just go to the “Developer Tools” and click the “Mobile” icon at the bottom. Ever since Google announced they give good priority for responsive (or mobile optimised) websites, people started to tweak their websites to make them mobile-friendly. This feature will be very helpful for them to test and customise their design. If you know any other cool hack you can do with Google Chrome, do share them below with us, we’ll be happy to display it here with your name credit. Thank you for reading.